First aid from the garden is a handy guide to quick and effective natural first-aid treatments for commonly occurring accidents and complaints, derived from garden and kitchen sources. 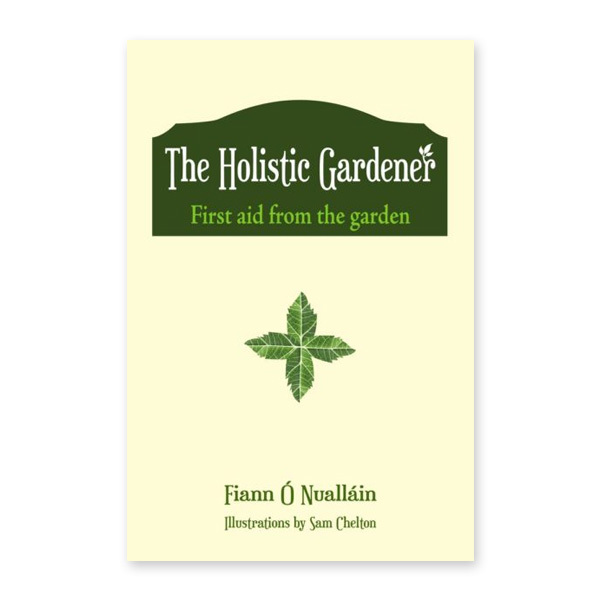 First aid from the garden is “a little gem with tons of tips from the knowledgeable and witty Fiann Ó Nualláin” – Darina Allen. From a thorn prick to heatstroke, from chapped hands to hay fever, from pesticide poisoning to wasp stings: all of these can be treated on site with what you grow. the resources are on your doorstep: the plant beside you as you work or relax in the garden can be the answer to the hive, ache or watery eye. Written by a professional gardener with a lifetime of experience of accidents that can happen in the garden and how to respond using common plants and items from the garden and kitchen, all the information you need on the first response, the essential plants and homemade remedy preparation is combined in this book.